Many of you might have heard that Kirstie Alley, Dancing With The Stars Season 12 2nd place winner, launched a new 100 Days of Dance program in which she encourages everyone to dance with her for 100 consecutive days in order to lose weight or stay fit. Of the program she says, “I want everyone to experience some version of Dancing with the Stars.” Check out a little more below for what she says, where she’d like to travel, and who she’d like to dance with during her time of 100 days of dancing…. You can read more at People.com as well as joining and watching her daily at 100 Days Of Dance. 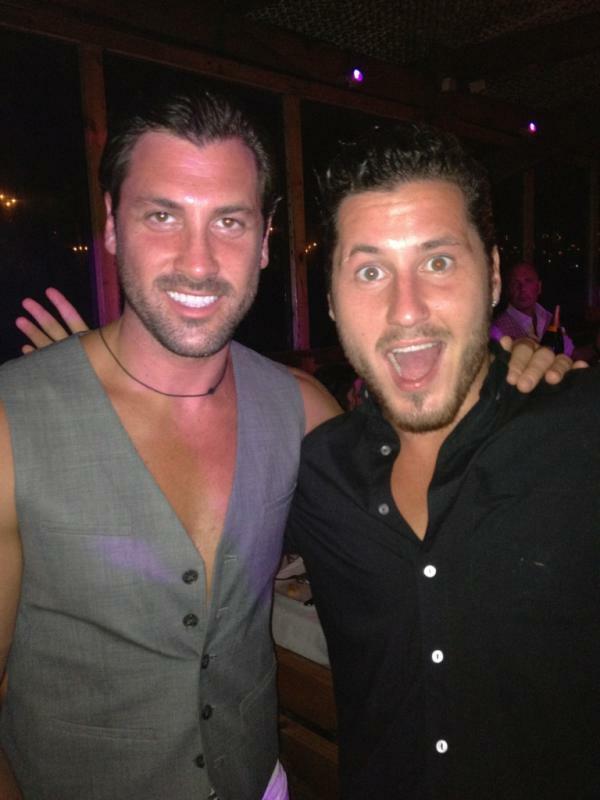 I wouldn’t be surprised if Maks shows up for a dance or two, would you? This should be fun! Way to go Kirstie! Keep the dance alive! According to the Las Vegas Sun, Rob Karadashian’s New Year’s Eve party was a huge success as 50 ladies and 20 of his closest friends (some of whom he said he has known since junior high and high school) joined him to bring in the New Year and celebrate the last one. Adding to the fun, the Tyrst nightclub awarded Rob with a 2011 New Year’s Eve Award for “Best Dressed Man” (are we surprised? I think he definitely fits that bill …and with a lot of class.) Tyrst also presented Rob with a cake from “Gimme Some Sugar” that replicated the “Dancing With the Stars” trophy and named him Tryst Champion of 2012. To read more on the night and view a cool gallery of fun photos of our 2nd place Dancing With The Stars Season 13 winner, go here. Rob Kardashian will be hosting his own New Year’s Eve Party in Las Vegas for those living in the area (John? 🙂 ) at the Tyrst Night Club. Leading up to the event, the Las Vegas Sun interviewed him. Did you know Rob knew Cheryl before he danced on the show? He talks of it below as well as his journey for when the competitive side of himself started kicking in…. The Kats Report: In watching you dance on the show, it seems you got along particularly well with Cheryl Burke. Rob Kardashian: Oh, yeah. I knew her from before. I had some friends who have done the show, so it wasn’t at all an awkward experience. It was really very comfortable, and, for me, that’s everything, to feel comfortable in what I’m doing in front of so many people. She’s a great girl. TKR: Had you watched the show very much before you were asked to be on it? TKR: What were your expectations when you started considering taking part? RK: I just really didn’t care (laughs), that was my whole thing, just to have fun with everything, and I did, because it is a show, and it’s a fun performance. But at the end of the day, it also is a competition. I started to take it seriously, but mostly I just wanted to have fun with everything. TKR: At what point did your competitive nature kick in? RK: I started to begin to realize that I actually can do this as the weeks moved forward, like maybe by Week 5 or Week 6, when I did my tango. That’s when I actually realized that I could actually do this, and that’s when the competitive nature kicked in … the tango is tough, but I really enjoyed it. TKR: Were you genuinely disappointed not to have won the championship. RK: I feel I went as far as I could have gone. I would have loved to have won, obviously, but J.R. definitely deserved it. I did the best I could do and ended with a perfect score, when coming into it I never would have imagined myself even making it to the finals. Great interview! Lots more including his New Years Eve resolutions at the Las Vegas Sun. Being we are about to wrap up 2011, we thought it might be fun to look back on the last two seasons of Dancing With The Stars to get your “favorite” and ‘best of” thoughts. As always, answer to your best ability or for whatever comes to mind first in the comments section. Also, try to answer with only one choice for most of these questions, but, you can name a few honorable mentions for each too if you want. Ok, let’s get started…. 1. Taking into account the last two seasons of Dancing With The Stars in 2011, who do you think deserves an award for Top Female Pro? 2. From the last two seasons of Dancing With The Stars in 2011, who do you think deserves an award for Top Male Pro? 3. Now taking your top two picks from above, which pro deserves the Vanguard Professional Dancer Award for 2011? 4. 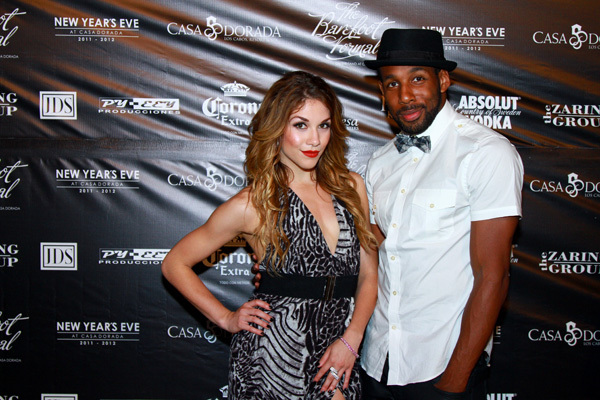 Taking into account the last two seasons of Dancing With The Stars in 2011, who were your top 3 favorite couples? Rate them in order as well. 5. The celebrity dancer to surprise me the most in 2011 was ________________________. 6. The celebrity dancer to tug on my heart strings the most in 2011 was _________________________. 7. The Most “Entertaining” Celebrity Dancer of 2011 was ________________________. 8. The “Best” Celebrity Dancer of 2011 was _________________________. Just a reminder that Karina is hosting a New Year’s Eve Bash at the Bowlmor in Times Square, New York on Saturday night. Cooler yet is the New York Post is reporting Ralph Macchio will be attending and hitting the dance floor with Karina. If interested in attending, below are a few ticket details that we reported a couple of weeks ago. You can read more and see pics of this hot new night club at Joonbug.com. …and a joonbug.com photographer present to capture all the merrymaking (and mischief making) one night can handle. Your very own paparazzi! ADDING: Joonbug.com has interviewed Karina leading up to this event. She discusses Dancing With The Stars, her partners, all of her upcoming projects, and more. You can read the full interview at the link. Below is a take of her talking about her greatest accomplishments so far…. KS: It’s hard to find one moment that I’m most proud of. I definitely cherish being the only female dancer who made the World Professional Final with 4 different partners. I’m super proud to have been US National Professional Champion for 7 years overall. And I’m extra super proud to have won my first Mirror Ball Trophy on this season of Dancing With The Stars! 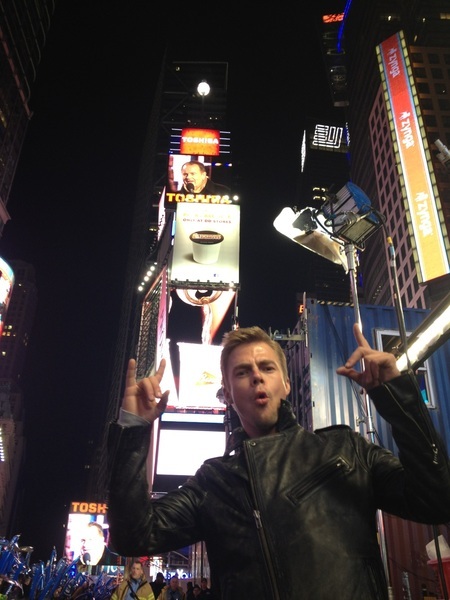 DWTS Derek Hough On “LIVE! With Kelly” Screen Caps Galore and Extended Versions! Hey, if you haven’t seen all the coverage of Derek co-hosting LIVE! 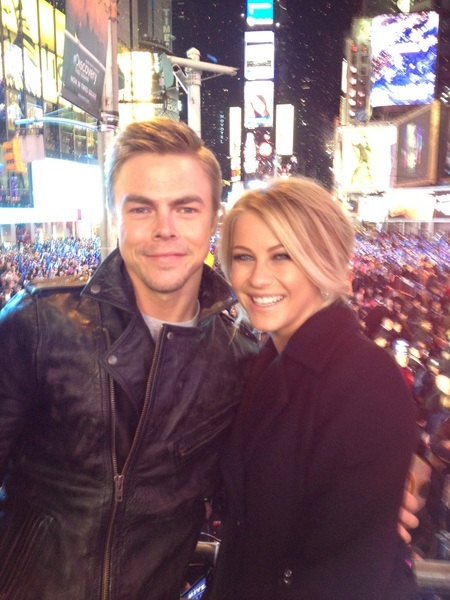 With Kelly at Pure Derek Hough in the last few days, be sure you do so. Heidi has bunches of super cool screen shots of Derek and Kelly. She’s posted some extended versions of the show as well. A MUST SEE for your Saturday and if you are in need of a Derek fix! To add to it all, Dancing With The Stars Champion Karina Smirnoff will be hosting this years NYE bash at Bowlmor Times Square— you don’t want to miss it!